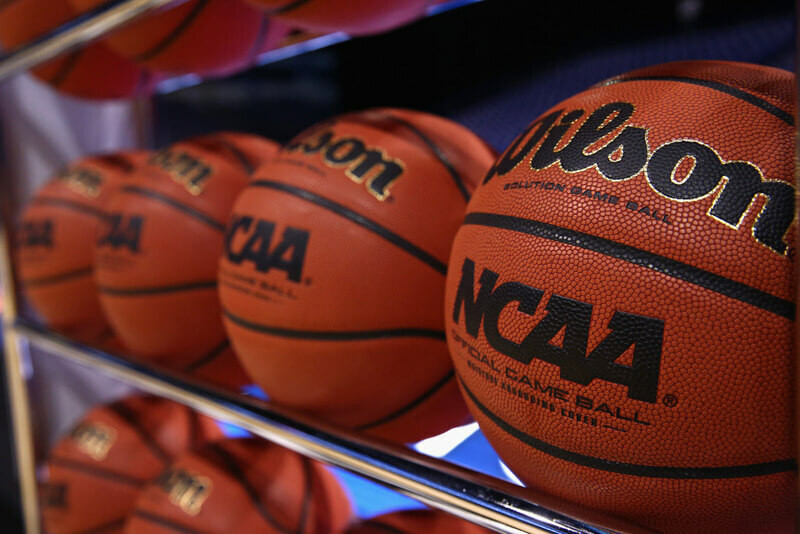 In this edition of the show, Morris and Bozich are joined by a pair of guests to discuss the bribery scandal that has rocked the college basketball world. From a Louisville perspective, Zach McCrite joins us to discuss this week’s news and from a broader NCAA perspective, Zach Osterman of The Indianapolis Star also joins the show to discuss the scandal. Your best response is supposition? Asking or needing someone’s help is not the way I roll. I am a self made man that would rather fail on my own merits than ask those liars and cheats for help! Please no. The pressers did for me – I’ll have to watch games with the volume down. I don’t think there is any indication that HE took any money, but even if he did, that’s not illegal. Players can’t take shoe company money, but coaches can. You have no concept! I prefer Elvis’s rendition! Or not. To me the lead singer of RUSH sounds like a cat in perpetual heat. It’s interesting at first, then you just want them to shut up. They’re both good. Frank cuz he’s The Boss, Elvis cuz he’s The King. Red Rocks is a venue on my bucket list to see a good show. Mumford played there couple of years ago and the taped show was rockin. You out west Bankshot? Koko did well through the Category 2 hurricane that blew though our neighborhood. My home did not. Your well wishes are appreciated but they didn’t keep the 100 year old Oak tree from being picked up and slammed down onto my pool enclosure and roof…..extensive damage. Thank goodness I can still live in the house. It will take months and a lot of money to get things back to normal. So there are some of your snarky little comments you should keep to yourself. That sux man. Glad you weren’t hurt. His name is Geddy Lee. Great base licks on “Working man”! Neil Peart Greatest drummer I have seen in concert! Please point out some sources for me to check out on this issue. I am very familiar with 501 (c) groups and with universities and their finance structures. I know nothing about AAU basketball organizations and their finance. How, exactly, do colleges and universities “pay AAU coaches”? That one hurt (Lyles). Would be awesome if that trail led to some impropriety that could sting UK but like you have yet to see that Cal is guilty of anything other than being head coach of our nemesis. Very little of the moral blame can be laid on the kid, or his family. However, the tax laws will place 100% of the blame on the person(s) receiving the cash or other tangible benefits and not reporting it! Me too. Descriptions of him talking/acting like a petulant child seem fairly accurate. Wishing people who helped oust him at IU to die, etc. is just grossly petty, especially when the bulk of Hoosier fans would like him to reconcile with IUBB in some way. Just sad. You know, I never thought about that re: zone between the basketball industry and the spaces with the manpower. It’s obvious in retrospect – I mean, what are universities and technical colleges but institutions created to straddle that exact divide? And as far back as the middle ages, apprenticeships for crafts/trades in order to do the same thing? – but at the same time, I’ve never put any thought to it: When you create a wilderness for someone to traverse before achieving a goal, you create a need for guides to lead them through it. The problem is, the need doesn’t take into account morality, ethics, or exploitation. So were you offered money to go to a specific school? By whom? What school? What did you do? All very interesting! I think if the FBI casts a wider net they could easily find NBA execs who knew and probably even participated in this scheme that is shaking college athletics to the core. But besides that, does the timing of all this stink of some organization that wants to benefit from the chaos? It could just be Marty Blazer looking to cut a deal to save his own hide, of course, but usually when something like this happens there are other wheels set in motion first. To me everything about this just reeks to high heaven. They definitely haven’t made friends with the NCAA. Especially saying he didn’t care if his youngest son becomes ineligible. Tom Crean did not cheat at IU. I respect that immensely! 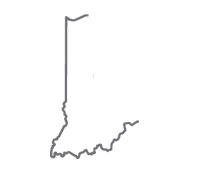 crazy idea: go with a company headed by an IU alum that produces their product not only in the US, but in the state of Indiana. If that company doesn’t yet exist….then make it happen. Offer scholarships to students to make it happen. Tired of the same old same old, all the nay-sayers and conventional “thinking.” Dump these corrupt and dictatorial companies and build something better. That’s exactly it. They serve as both the buffer and conduit. And add enough complexity to the situation to make it difficult to easily follow. It is rather unique, not as simple as basic bribery. It’s deep, complicated, and systemic. No simple solution and I honestly doubt that the real problems will be adequately fixed without a major housecleaning in the NCAA itself. That would take me all day to type. Just Google, is John Calipari paying AAU coaches,,,you will see many in depth articles about it. In my best British Parliament voice….here here. I’m nervously telling myself that the main reason he moved on from IU was because he wasn’t allowed to “play the game” while recruiting for us and so he looked around for a place that he could do that and let it be known that he was willing to be a participant in “the game”. Who knows, only time will tell. Hell maybe it was a combination of all the possibilities. As you say an awful lot of similarities when it comes to the Vonleh and Bowen comparisons…..nervous. LOL, I just finished typing a reply to bball at nick’s and it was about the whole Trey Lyles saga. CTC did everything but come right out and say that Lyles’ recruitment had become a battle that would be fought outside the rules and that it had become that as soon as a certain school came into the picture. I know many say not to put accusations out there if you cant, or won’t, back them up with names and facts, and I normally refrain from doing that. I’ll just say this, while I didn’t coach AAU bball on the elite level, I did know some that did. Everything that has been exposed is of no great shock to any of us and that it was a widespread belief that the way Lyles ended up “down there” was totally due to things done outside of the rules. In this scenario it was a common belief that it even went beyond the normal things done outside the rules. My views strongly resemble yours and were arrived at through a somewhat similar way. Will never forget watching him hold notes on his bass, play a keyboard and singing ALL at the same time. Ditto on Peart ! Don’t hear of too many bands, if any, where the drummer writes basically every lyric and sings none of them. Amazes me how much music can come out of just three people. The Rush documentary on Netflix is really good if you haven’t seen it. No, I live in Indy. Lived in Boulder for five years in the 80’s. Saw Clapton, Stevie Ray Vaughn, Joe Walsh, Simple minds and Dire Straits at Red Rocks. I took my daughter who is a senior at I.U. to visit C.U. Rocky Mountain National Park and Red Rocks. If you like live music, Red Rocks is the best venue on the planet! Saw Rush in 77. The ticket was $7.50. They played the entire 2112 album. The musicianship from three performers was outstanding. At least seen in that light, his commitment to IU seems much less questionable than we might fear. Plus, it was five years ago, which was well before the FBI investigation began. So even if there WAS some funny business, which I highly doubt, it might not even come into this particular investigation. No reason not to upvote that! Good to know. It could be a case of us being to quick to forget things like what you found given our not too distant circumstances. Maybe we are just a little gun shy and too quick to assume that doom and gloom is just around the corner for us again when something like what is happening goes down.